Ever wonder what to do with leftover chinese food; especially the rice? Usually Fridays at or house we either eat out or order in. Last night we had chinese food and we had plenty of leftovers. Today I was about to prepare a leftover plate when I thought of making something different. 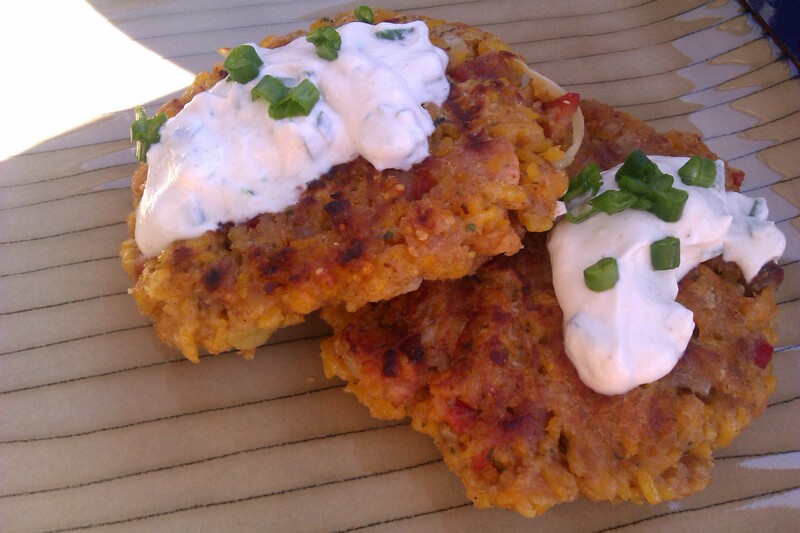 I came up with leftover rice patties. I took all the rice, chicken (we had bourbon and orange), some veggies, and chopped it all up. Then I placed everything in a bowl. Now depending on how much left over you have, you add some eggs and about a cup of whole wheat bread crumbs. You want a moist patty not too dry. You can either bake them or place a little Extra Virgin Olive oil in a skillet and cook them for about 5 to 6 minutes on each side until nice and golden (giving it a crunchy and crisp crust). I also made a green onion sauce. Enjoy this with a nice crisp salad. I think this is a great way to enjoy leftover Chinese food without wasting it. Mix in bowl and use for dipping or placing on top of patties. Good idea. But honest, I don’t go to great lengths for leftover Chinese food. It’s not take-out for me…it’s about 60% of my home made cuisine. 🙂 I’ll be doing stir fried butternut squash tonight. Yum. 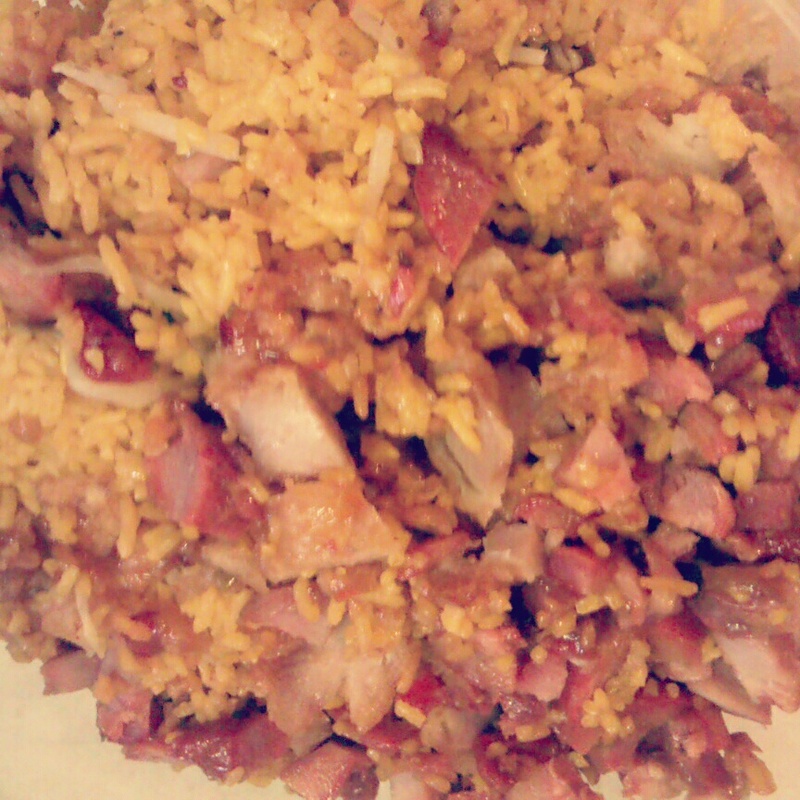 With leftover fried rice, I just microwave it again. Yea, I’m dull. This is a fantastic idea! I love taking one meal and turning its leftovers into another meal all its own. I make a lot of Asian food (being part Hawaiian and Filipino) and I always try to make enough to have lots of leftovers. I think I’ll be trying your idea with my next batch. I like your green onion sauce idea, too.